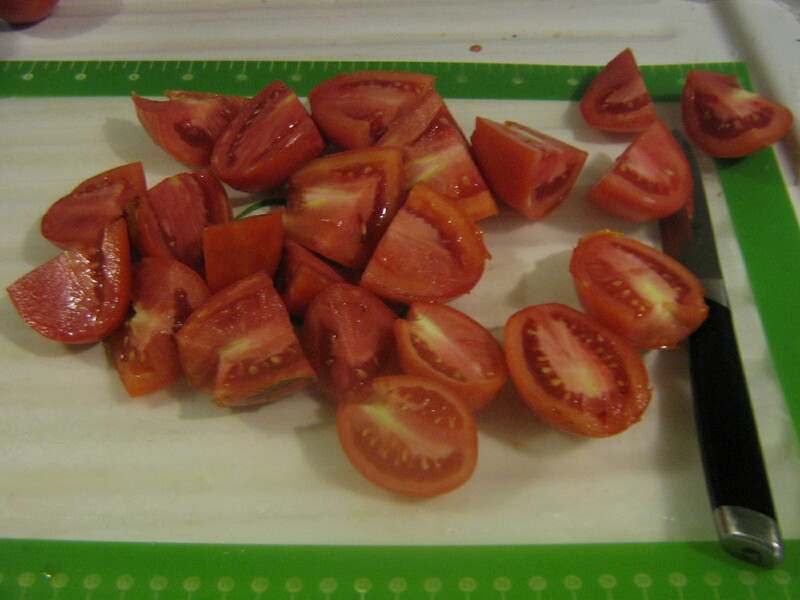 Remove the stem and core and half/quarter the tomatoes. Place in a pot. Cook until they are soft. Run them through the food strainer. Now you have tomato juice. 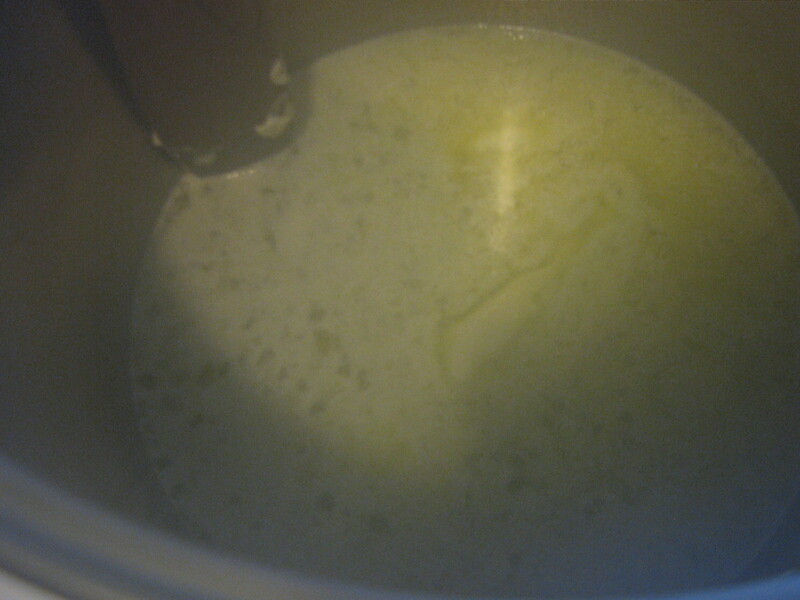 Melt a lot of butter in a big pot. add onions, flour and some other ingredients. 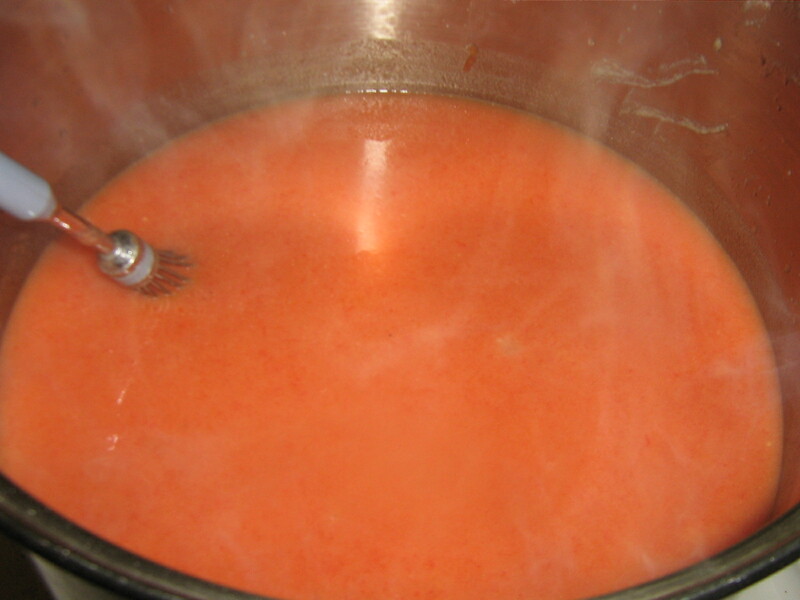 Add 6-7 Quarts tomato juice to the pot. Stir until it boils. Then I can it. When you are ready to eat it you mix it with baking soda and milk. Yum yum!